Try it now. Text T2R to (817) 677-9850 to see a simple registration. 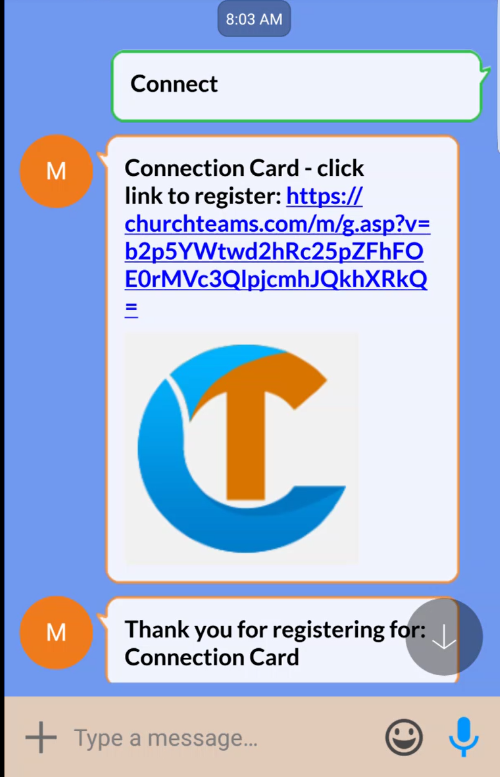 Text CONNECT for a connection card. Text HELP or EVENTS to see other registration options. 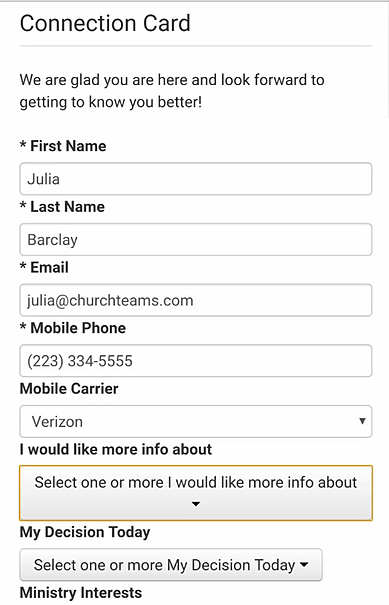 To get started, set up your online giving account with Churchteams. 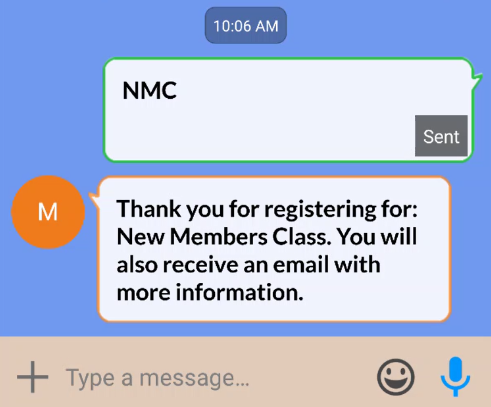 You will get to choose your text to give / register phone number in that process. Next, create your class/event as usual (Groups / Create), then go to the Registration Settings page (Edit / Registration Settings). There is a new "Text-to-Register Keyword" field. Enter the keyword you want to associate with registration for this class/event. Note: The first digit must be a letter not a number, spaces will stripped out, and it will be upper cased. The system will prevent STOP, LOGIN, HELP, GIVE, EVENTS, REFUND from being used as a group/event keyword to prevent conflicts with these system words. It will also check to make sure that a keyword isn't duplicated. Register without a link. In this case, the user has already setup and verified their online text to give account. 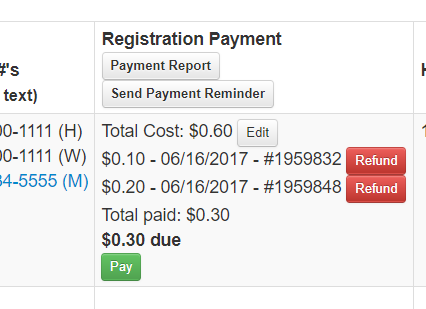 Only first name, last name and email are required to register. And the registration does not require a payment, allow multi-person registrations, nor have a secondary registration option. Registration with a link. When additional information is needed, the system will send a link back to the registrant. This link gives you full access to all additional registration features. If the registrant is verified, the system will pre-populate all the Member Attributes required on the registration leaving only the registration attributes to be completed. If a payment is required, the registrant will have an option to use the saved cards or banking accounts they set up for online giving. If a refund is needed, that option is now available on the Financial Administrator's group info page where the class / event is managed. If the payment was for a multi-person registration refunds will be issued for all payments. If a payment has not cleared/posted, it will be voided in the payment system and deleted from Churchteams so you won't see a reference to the payment. The receipt sent immediately will still be with the donor. An emailed receipt is also sent when a refund is done. 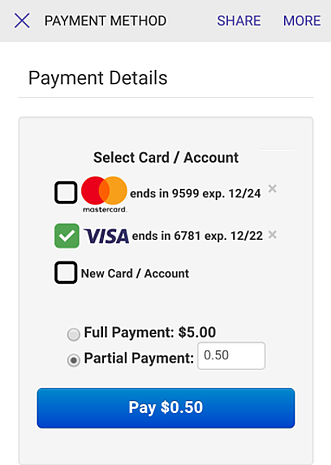 If a payment has cleared, then a credit will be issued and a negative amount payment will be shown on the page in addition to the original payment and the refund option will no longer be available for that payment. ACH payments can be refunded / voided if they are caught before they post but if it's after they are posted they cannot be refunded due to some current limitations with the payment API. The system will let you know if that's the case.